It is Christmas Eve, so that means I am going to be setting up a decades-old (still has the 'Made in West Germany label on the bottom of the locomotive) LGB train at my parent’s house. Trains going around Christmas trees are a big thing in my family. In fact, there’s no tree that can’t be improved by a train. 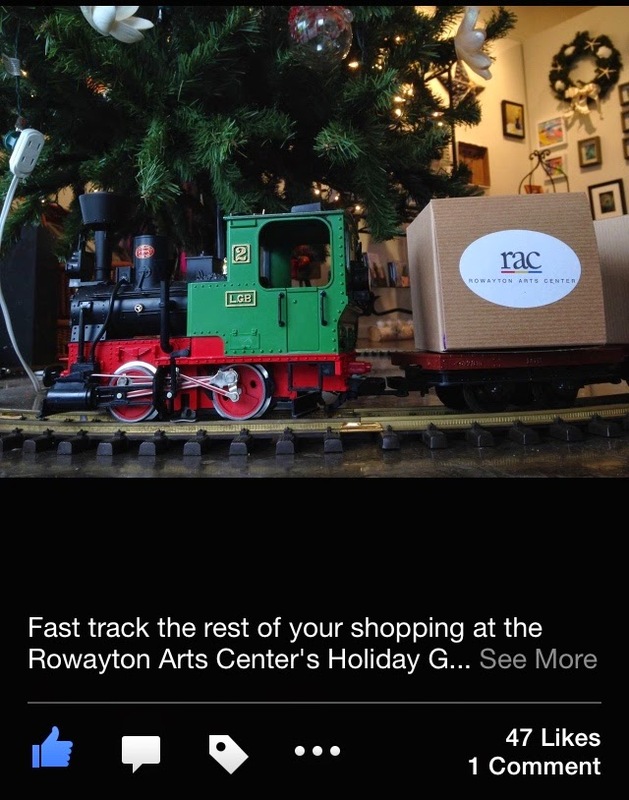 You’ve probably seen this train at the Rowayton Arts Center’s Holiday Gift Show - and if you haven’t: they are open today from 10:00am to 2:00pm so I recommend you go there and pick up a last-minute Christmas gift for the cyclist in your life. 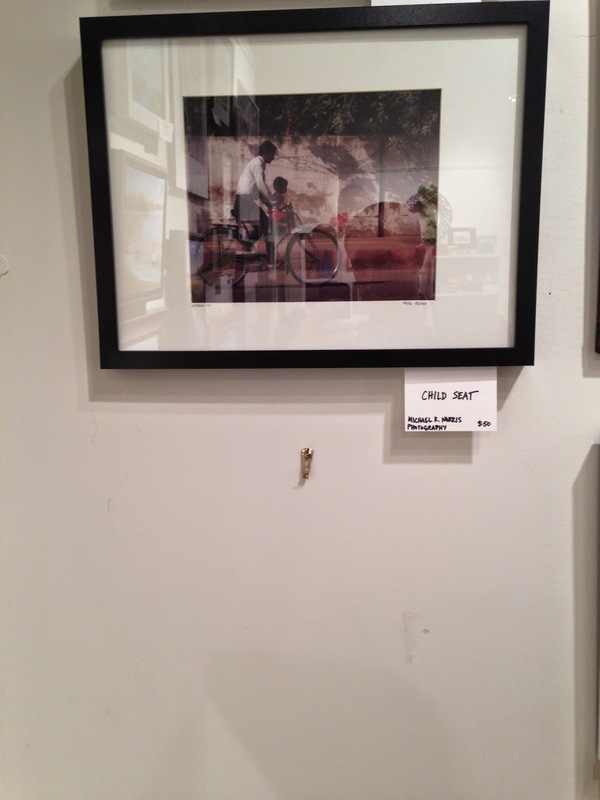 Like, say…I don’t know….a nice framed photograph from a local artist. One of my photographs sold at the show (hence the empty spot on the wall) so I replaced it with another…and you’ll have to see which one it is when you go there. This is a Landrider that was waiting for the ‘metal only’ bin behind a bike shop before I picked it up. This bike is known for two things: the informercials that seemed to market cycling toward the Metamucil generation…and for its complex automatic transmission. 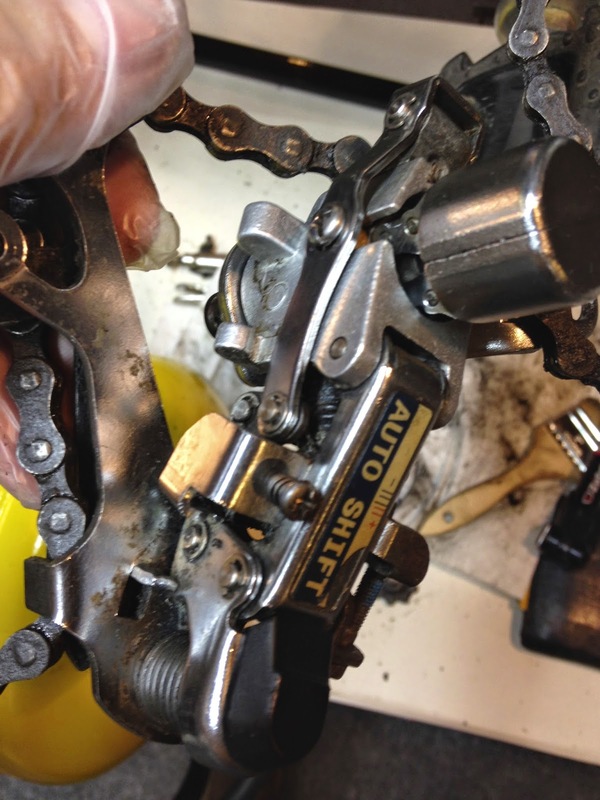 The way it worked was as such: the wheel would turn and make a special mechanism on the derailleur spin, and the centrifugal force would pull the derailleur away from the bike and make it shift. Not easy to photograph when in motion. When I picked up the bike the rubber band that made the thing on the derailleur spin was missing (probably part of why the bike was being given away) so I replaced it with a large rubber O-ring from the hardware store for $4.49. The reason the Landrider got all mixed up in the train set I loaned to the Rowayton Arts Center for Christmas is because (long story) I had to borrow that particular train back for a day in early December. But I didn’t want the show to be without the train for too long, so the very next morning I decided to ride the six miles to RAC with the train, so I packed it carefully in a city box pannier I never use and put it in a basket on a bike I’ve never ridden. I discovered something on this ride: the world is not ready for an automatic transmission. At least not this one. Sure, when you’re accelerating the bike shifts up but when at speed it would often shift up or down without warning, causing a distraction or my feet to slip off the pedals. Also my thumbs were constantly pushing for shifters that weren’t there. I had experienced a similar phenomenon when I went from my Jeep Wrangler (1995 - 2006), which had a manual transmission, to my Honda Element, which doesn’t. Part of the reason bikes are great is that they do what your body tells them to do. On the Landrider, the natural order of things is reversed. The other thing I discovered on this ride is that if you come across one of those Ridiculous Car Antlers that has fallen off some Suburban, you can attach it to your bike and create your own Instant 3 Foot Law Reminder. The Landrider and I continued on. 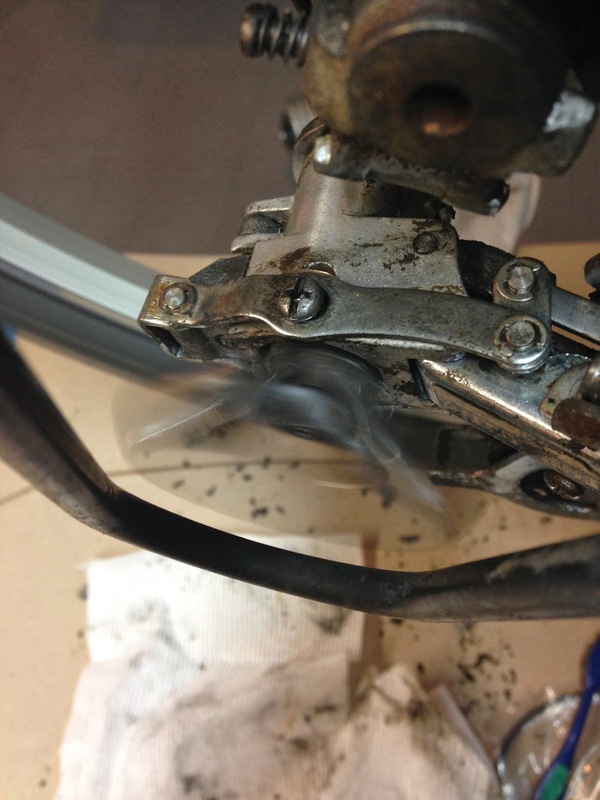 As my legs burned I wondered how much of my energy was being wasted in the centrifugal clutch. I was tempted to abandon the antler to cut down on wind resistance, but before I could do such a thing I arrived at the Rowayton Arts Center. I returned the train (it was undamaged!) and rode back to Stamford. Because I realized how few Sundays were left in the year where I’d be able to ride about, I took side trips to Lorca and Pacific Swim Bike Run so I could write my #GiftsForCyclists series - thus leaving this dreadful bike (which will probably not be in my possession very soon) in the foreground of the shots I took. When I finally got home I discovered the antler bounced off somewhere on my journey - thus returning to the streets from whence it came (unbelievably, while out a couple of days later on my city bike, I found another antler in the road. Mind your tacky car decorations, citizens). I can honestly say I will never ride this Landrider again. But still, I got to ride a bike - and I got to bring a train on a bike instead of the other way around. Since today is the last day of the Rowayton Arts Center Holiday Gift Show, I hope all last minute Christmas shoppers enjoy it even more now that they know the origin story. 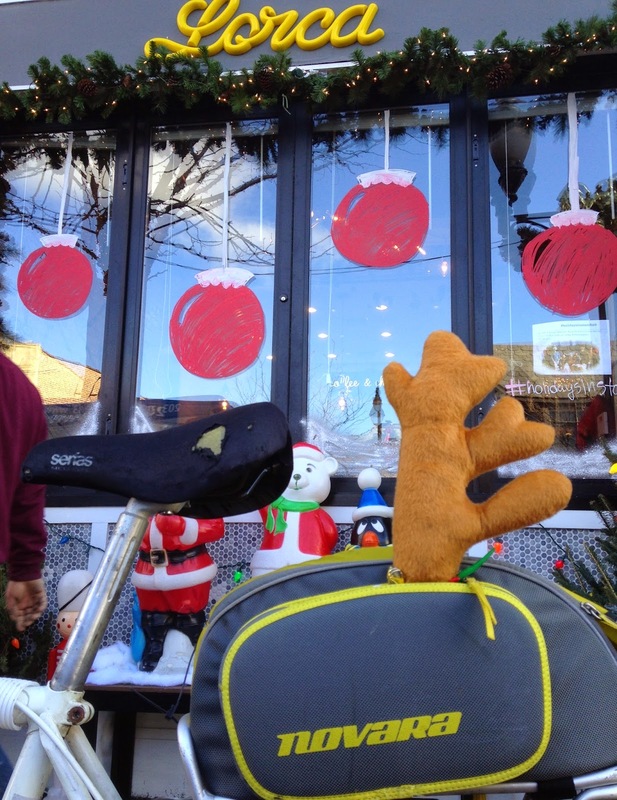 And don’t forget: you can still buy raffle tickets for the BikePort Co-Op’s BPT-ONE if you can’t make it to Rowayton and are still short some stocking stuffers. 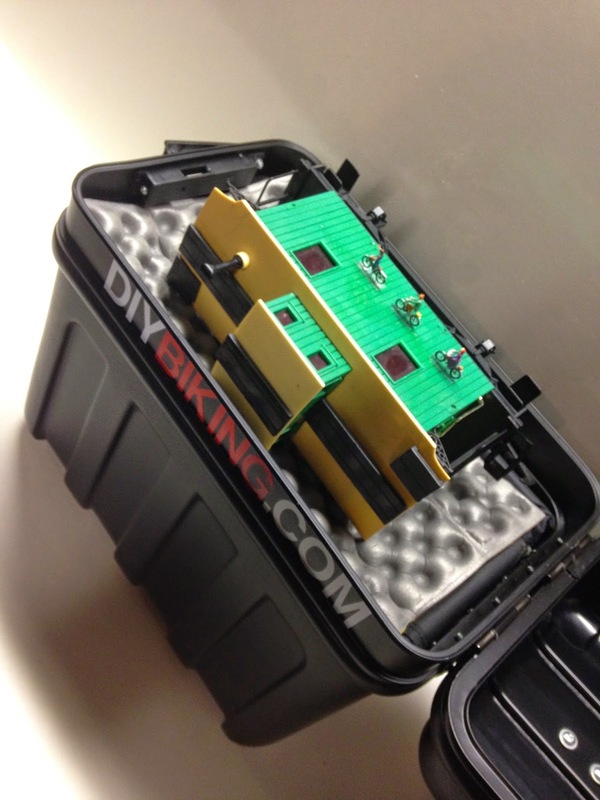 I’m Mike from DIYBIKING.COM wishing you all a Merry Christmas. Thanks for reading and thanks for riding.